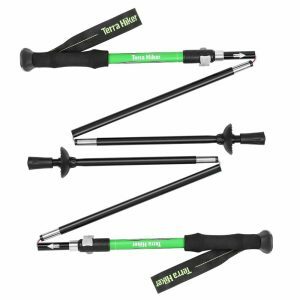 If you’re planning to go on a hiking trip anytime soon and are looking for an affordable entry-level trekking pole to carry along with you, then you definitely need to check out the Terra Hiker Adjustable Trekking Poles. This newly updated model of these poles by Terra Hiker have a commendable lineup of features, all of which are designed to ensure you have a safe trek that is free from injuries. 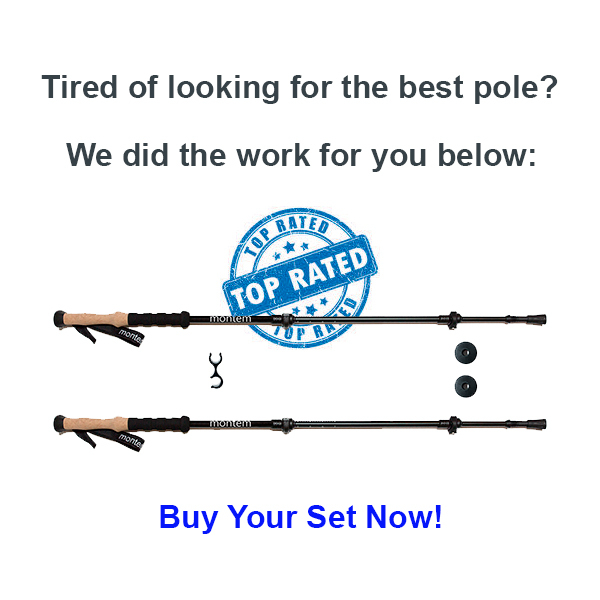 Coming at a price or just below $30, these poles will offer you the ultimate value for money and is mainly targeted towards beginners that are new to the game. However, they are fully featured and extremely versatile and can be used even by professional hikers on the toughest of terrains. Made from an Aircraft-grade 7075 aluminum alloy, these hiking poles are built to last. Aluminum, as a material, is an excellent choice when it comes to trekking poles. They are lightweight, sturdy and have excellent shock absorbing capabilities. The high quality aluminum allow used for making these poles will offer you superior durability and is guaranteed to last a very long time. The other great thing about these poles is the weight, which is only around 0.61 lbs. (280 g). 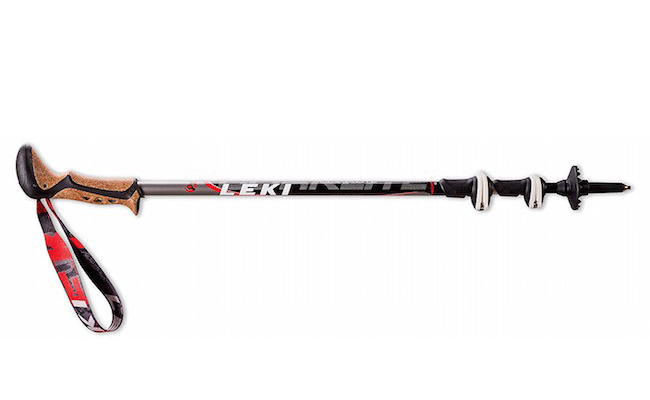 It is quite hard to find a hiking pole that can beat this one in terms of weight at this price range. The lightweight of these trekking poles make them ideal for longer treks that last multiple days. These trekking poles by Terra Hiker are adjustable and can be extended from 41 inches to 49 inches. This adjustability makes sure that anyone can use these poles regardless of how tall they are. You can easily preset the length of these poles to match your height and ensure you get the optimal level of support that these poles are designed to give you. These poles also feature the FLS Locking Mechanism which let you quickly lock the desired length on the go. Another great aspect of these trekking poles is the fact that they can be folded down all the way to 13.77 inches (35cm). This makes packing the poles a much simpler task, just fold it down its shortest length and pack it into your suitcase or carry sack. These poles also come with foam handles which, apart from keeping your hands cooler, also provide ample support to your wrists and the other joints on your arms. This goes a long way in avoiding injuries and ensuring you reach your destination unscathed. Performance of this pole on the trail was pretty decent and certainly worth every penny you pay for it. They contribute significantly towards improving balance on uneven ground thus ensuring you save a lot more energy while going up or down the steep trails. It can also reduce the impact force on your knees by as much as 40%. The external lever lock featured in these poles are also quite efficient and lets you quickly lock the poles in place. The tungsten steel pole tip featured in these poles are extremely durable, abrasion and corrosion resistant. It offers an extremely firm hold which will not slip easily even on the most challenging terrains. You can purchase them directly from Amazon.com here . These Adjustable Trekking Poles by Terra Hiker come really cheap and give you a high value for money. 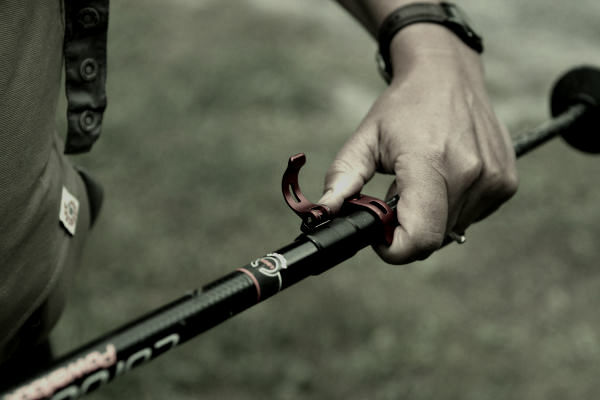 It’s next to impossible to find a trekking pole that boasts of such a strong lineup of features at such a low price. 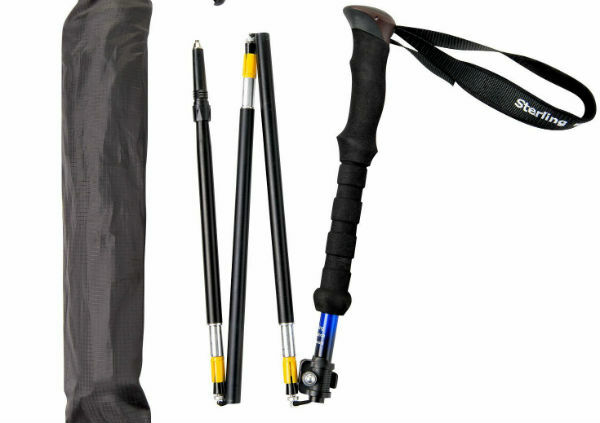 You can order these trekking poles directly from the seller’s website. You can also buy them from an eCommerce site. Overall, these are one of the best entry-level trekking poles in the market that come at a very cheap price. If you are on a budget and want to get yourself a quality trekking pole that provides excellent performance then this is the right product for you.